Beachfront property with no bank is hard to find. Beachfront property for sale is very hard to find along the beaches of the beautiful Olympic Peninsula. 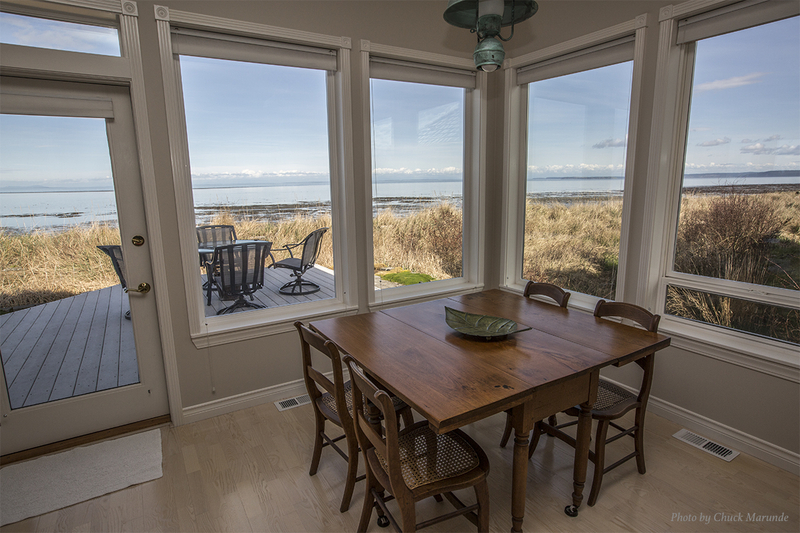 I thought you might enjoy this priceless beachfront view from the breakfast nook of this luxurious Sequim home. Be sure to click on the photo above to enlarge it for a more detailed view. How would you like to wake up every day to this view? I could sit with my latte enjoying this view until long after my latte is gone. You can view more photos and all the MLS information on this home at Beachfront Property Home. You can look at all the beachfront property for sale in Clallam County at this link: Beachfront Property. As of today, prices range from $498,500 to $1,800,000. 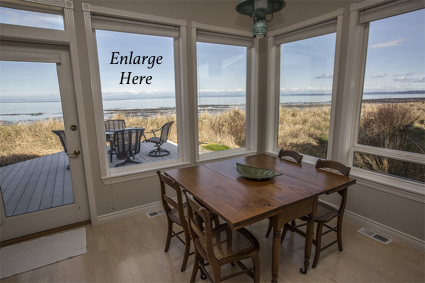 Sequim and Port Angeles and Port Townsend also have more property with a water view, but low bank beachfront property is not easy to find in an ideal location.